If you are considering setting up a photography business, equipment is likely to be one of your primary concerns. Many photographer entrepreneurs already have a range of equipment; it is likely that you will have built up your own collection over your years as an amateur. Regardless of this, you need to pay careful attention to the equipment you use – and, particularly, to your camera. Enthusiastic amateurs often splurge on what are known as ‘prosumer’ cameras. But these models, which fall between amateur and professional standards, may not be up to the job if you are serious about your photography business. As such, you may need to consider buying a new, professional camera. There are a number of important factors to consider when choosing a model. Your very first choice is that of film or digital. While amateurs have enthusiastically adopted digital, many professionals have been slightly more reticent. Many still believe that film provides a better quality print, and a large number of portrait photographers continue to shoot on medium format film. You should remember that the costs of developing film are very high and, unless you have your own darkroom (in which you will have to pay for developing chemicals anyway), you will have to factor this into your pricing. Digital provides you with increased control at a fraction of the cost – but many are willing to sacrifice this for the quality of film. Cost is likely to be an important factor. Generally speaking, you can expect to pay anything upwards of £1,000 for a professional digital camera. Medium format film cameras can come in significantly higher. It is worth remembering that the very newest camera models often contain very marginal improvements, many of which are so niche as to be unnoticeable to the average user. As such, do not presume that you absolutely have to buy the latest model. Prices slide incredibly quickly, and you may well be able to pick up a bargain from eBay, or a reputable shop like London Camera Exchange. It is also important that you choose a make and model with which you are familiar. 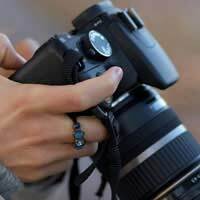 If you have built up a collection of Nikon lenses that you wish to continue to use, there is little point in buying a Canon camera as they are likely to be incompatible. Some shops will allow you to test a camera for a day, and you should seriously consider taking this opportunity. You can only hope to get the feel for a model by performing some of the day-to-day tasks for which it will be used. Finally, you should consider the peripherals that you intend to use. If you are likely to require specialist flashguns or other accessories, make sure that you choose a camera that supports them. Similarly, if you are a digital owner and already have storage media, make sure that your new camera uses the same format. Your choice of camera is likely to be amongst your most important, and it is vital that you get it right. Make sure you ask to try kit in the shop – and, if all else fails, consider hiring a model before making a decision. Lighting Equipment: What Do I Need?